Simply complete the form on the right to shop, compare, and apply online. Guaranteed-acceptance** – No medical questions/exams required. Low cost – Plans start at $74.30 per month. You have freedom to choose any provider (a PPO network is included for added savings). The plans provide assignable benefits – the medical provider bills the insurance company directly. Next day coverage is available. Note: There is a 12-month pre-existing limitation on all hospital or surgical related expenses. No contract needed. Plans have a 10-day money back guarantee. Benefits include: doctor office visits, wellness visits, emergency room benefits, surgery benefits, a prescription discount card and more! * Subject to limitations and exclusions. RCHI is ideal for NAR members who have high deductibles and out-of-pocket expenses with their current major medical plan. RCHI is a great supplement to assist with everyday healthcare needs and fill gaps left by your major medical plan. It is important to understand the difference between Major Medical (comprehensive coverage) and Limited Medical insurance. Major Medical provides catastrophic coverage and high limits of coverage (typically $1 million or more). Limited Medical Indemnity (RCHI) provides the guarantee of affordable insurance but limits its coverage to everyday illnesses and accidents. In addition, the maximum benefits paid in each medical situation are capped. 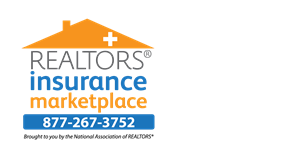 NOTE: REALTORS® Core Health Insurance plans do not meet the mandated coverage necessary to avoid penalty under the Affordable Care Act.